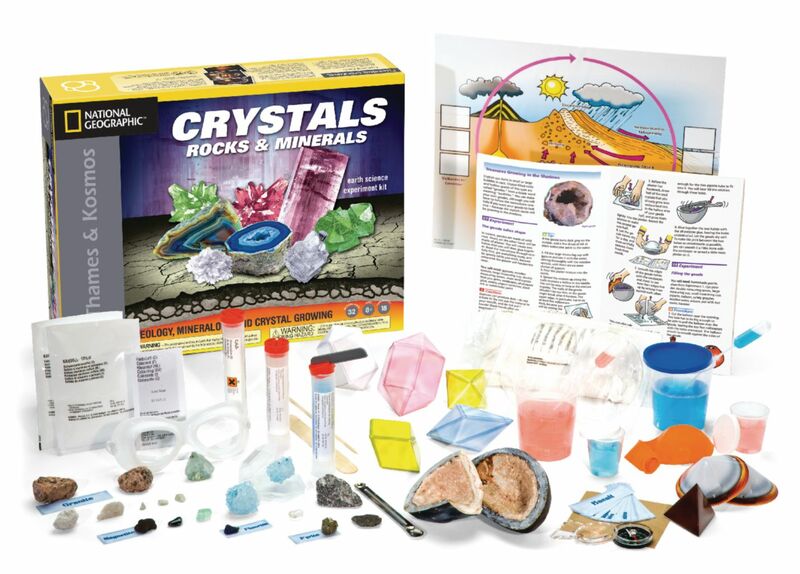 Much more than just a crystal growing kit, this experiment kit teaches students the chemistry of crystals and the geological science behind rock formation with more than 18 hands–on projects and investigations. 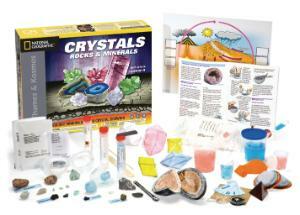 Students will grow three chemically different types of crystals that exhibit a wide range of colors and shapes, build three types of crystal models, and even their own crystal geode. They'll also conduct tests to determine color, luster, streak color, hardness, density, magnetic properties, and carbon, sulfur, or iron content with real mineral specimens included in the kit. Finally, they'll investigate the geologic rock cycle and learn how the three main categories of rock are formed. Includes full-color, 32–page experiment manual. Ages 8 and up.